The garden is in full bloom as are the butterflies, so here are a few photos that we hope you enjoy. watching myself talk on the Richard D Hall Sky Channel 200! (Although Dawn insists on watching every episode.) Having said that we would like to take the opportunity to thank Richard for coming to see us. We hope to see you again in due course. 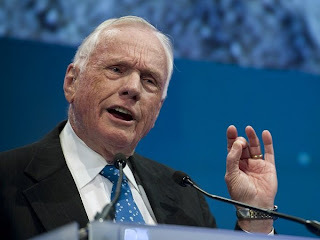 On a more serious note, we are sorry to hear of the passing of Neil Armstrong and attach a few photos. 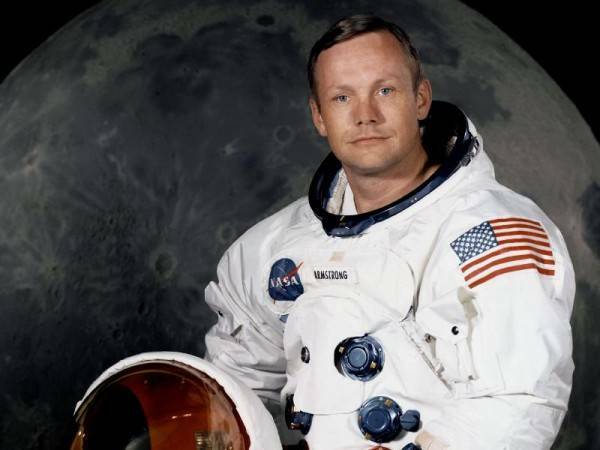 Rest in Peace, Neil. 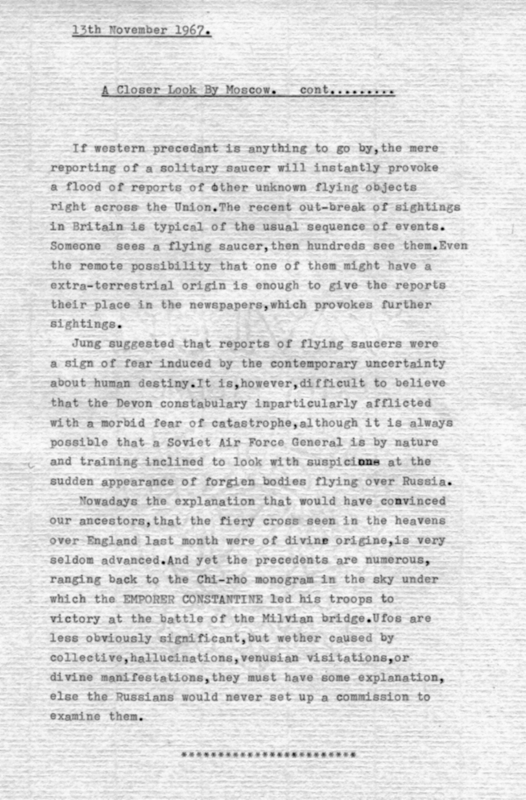 At the moment we are conducting an investigation into the sighting of a UFO over London airspace in July 1979. This incident involved India 99, the Met. Police helicopter. If anyone has heard of this incident please contact us. 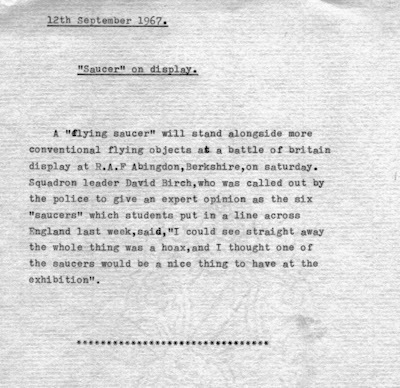 We have already emailed the CAA and the Met. Police under the FOI asking them if they are able to confirm the whereabouts of any pilots’ log books. 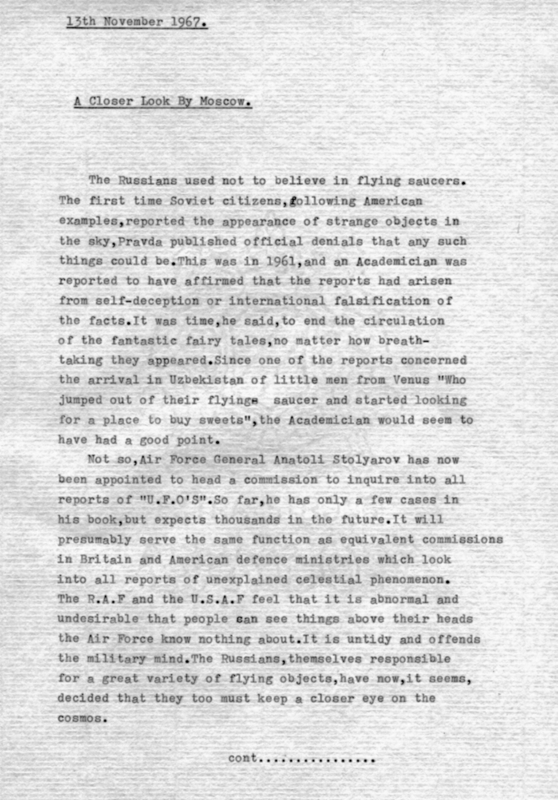 We shall also contact the internal force magazine The Job to see if they are prepared to launch an appeal from us regarding this matter. More good news! 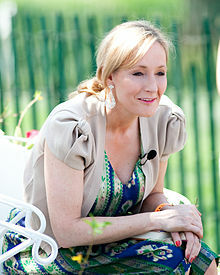 We have received a letter from the Personal Assistant to J K Rowling thanking us on behalf of Joanne for the book Haunted Skies which was sent to her. It was really good to hear from her. 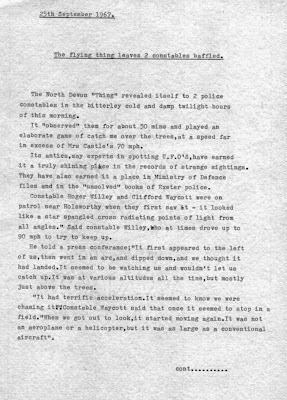 On 1st June 1991, a Britannia Airways Boeing 737 en route from Dublin to London’s Heathrow Airport was descending at 8000 feet on a heading of 110 degrees, when a “yellow orange cylindrical object of ‘wrinkled appearance’ was seen for 1-2 seconds by both pilots, before disappearing rapidly down the port side of the aircraft. 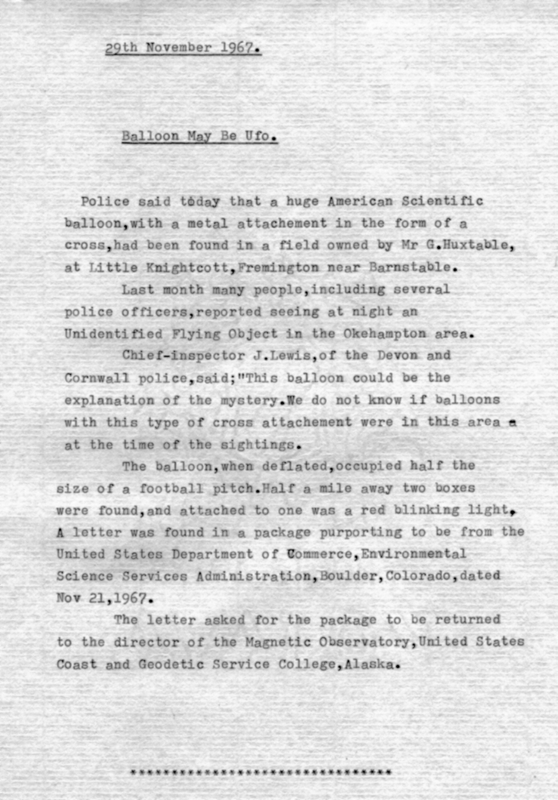 Following the report being logged with the CAA, it was suggested they may have seen an advertising balloon that had come adrift from its moorings. 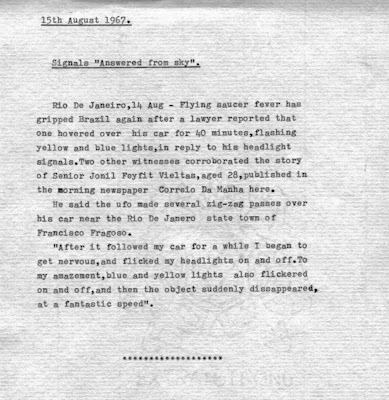 At 6.30pm on the 17th June 1991 four passengers on board Air Flight DA4700 from London Gatwick to Hamburg saw a ‘wingless projectile pass below and to the left(north of the Boeing 737) apparently flying at an altitude of 4-5000feet, just above the cloud layer. 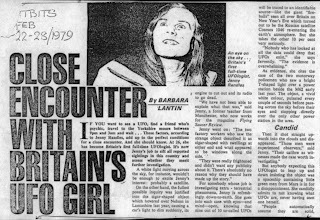 We spoke to DJ Liz Kershaw, presenter at BBC’s Coventry & Warwickshire radio station, on air with regard to what she witnessed while driving along the M62 motorway towards Liverpool one Sunday evening in December 1991. 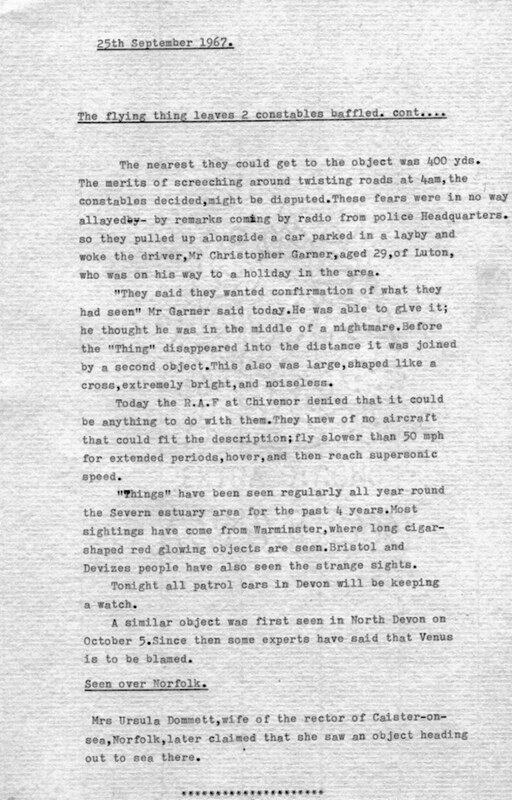 “I was terrified to see this huge triangular shaped object float across the motorway it had three red lights as it glided in front of me, it was the spookiest thing I had ever seen. I pulled up near the bridge and saw a number of Police Cars parked with Police Officers watching it. 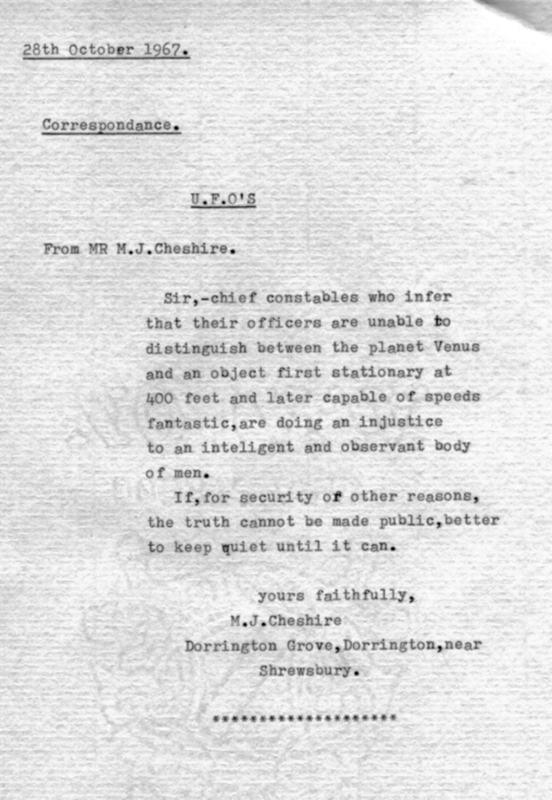 When I got home I rang the Liverpool Police to find out what it was they denied all knowledge of it!" ‘following receipt of your request, searches, were conducted within Merseyside Police to locate information relevant to your request. I can confirm that the information you have requested is held by Merseyside Police. To locate the information relevant to your request searches were conducted at the Information Bureau access Unit (IB) the Calls and Crime recording Bureau and the Force Records Management team. Decision.- I have decided to disclose the located information to you in full your requests have been separated and responses to them are contained in the attached response table. 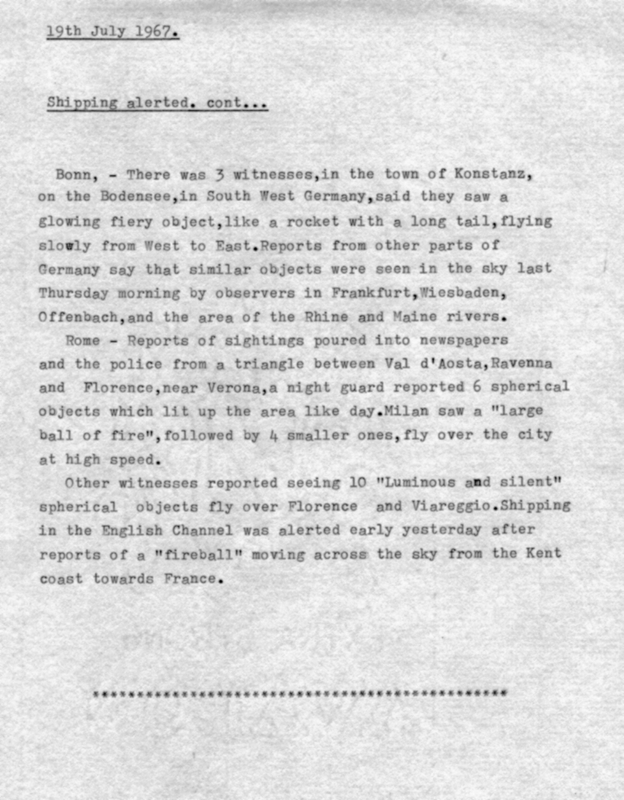 (See attached files GETS-757DTL)' Unfortunately it contained only a brief reference, ie - UFO sighted over the M62 at at 02.44am on the 8th of April 1990 at Madeley near Huddersfield, West Yorkshire by two uniformed police officers . 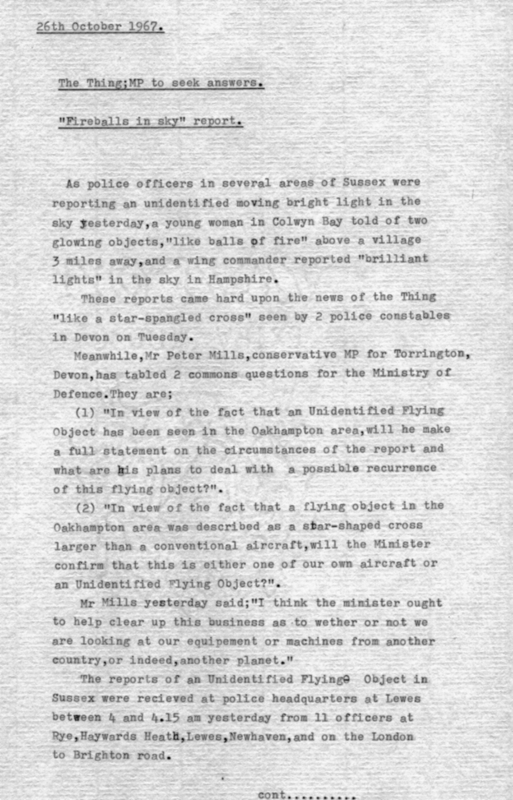 A blue flashing circular object seen above the M6 motorway hovering over Waltons Wood, Madeley at an altitude, of 500 feet. 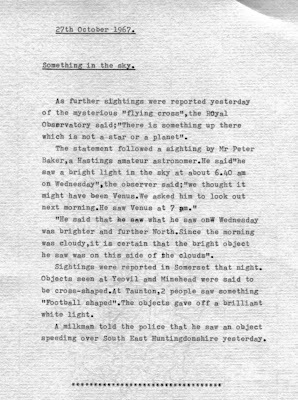 We felt this was hardly likely to be the same incident as described by Liz Kershaw, together with minimal unspecified information relating to three ‘suspected sightings of UFOS reported to the Merseyside Police for the period between April 2004 and September 2006, minus the exact dates, or nature of the sightings involved. 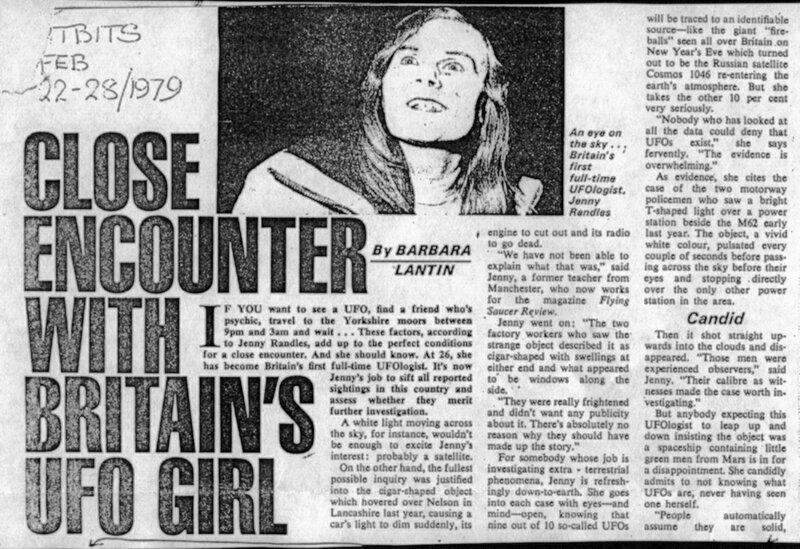 Oddly we were unable to obtain photo of Liz despite being promised one by her and other BBC representatives at the Radio Station, some of whom had invited us to speak at the Radio station on the UFO subject. We even asked the Radio Station for a photo in 2010 but were told this wasn’t possible and weren’t told why. Congratulations to Jon and his CFZ crew for another Weird Weekend. Sadly, we were unable to get there but wish him and all the people that took time out to go there the best of luck, and hope that the weather was kind to you. In the meantime, we are trying to update the filing system in our office as it is chaos trying to find anything! Andrew Hodrien has been a BUFOG member since its beginning and has had a strong interest in exploring Ufology for about 20 years. However, for the past 5 years he has been studying psychology with the aim of a career in psychological research into aspects of consciousness, and is currently planning his PhD. He is graduating from The University of Northampton in July and has also been lucky to study Parapsychology as part of his degree, and is currently working on a Remote Viewing research project at the University. For Andrew, delving further into psychological theory and research practice has been the beginning of a new journey into exploring ufology through the integration of psychological research, which he hopes to pursue in the future. 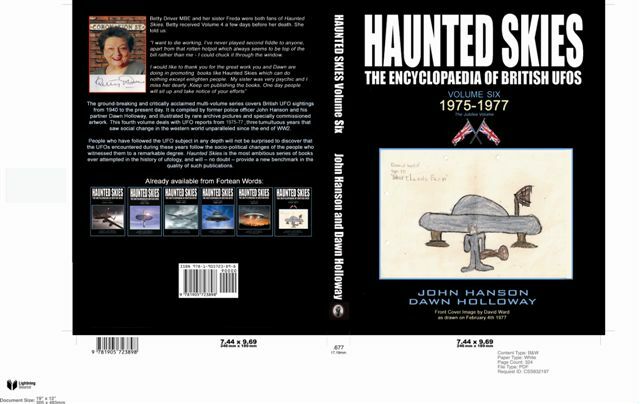 This involves both the experiences covered within ufology, exploring the nature of beliefs and scepticism surrounding the field, and how we approach UFO-related evidence which might challenge either our world view or general beliefs on the subject. Regarding sightings and experiences, after being exposed to both UFO-related evidence and studying human nature, Andrew takes an increasingly open-minded approach, being open to all possibilities and endorses true scepticism, rather than closed-minded thinking. 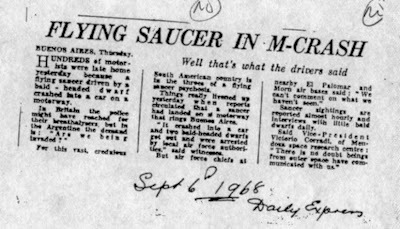 Andrew is in a relatively rare position of having studied ufology and being involved with the UFO community, before having studied psychology. Due to his passionate interests in both ufology and psychology, this lecture offers something a bit different to what normally gets presented. 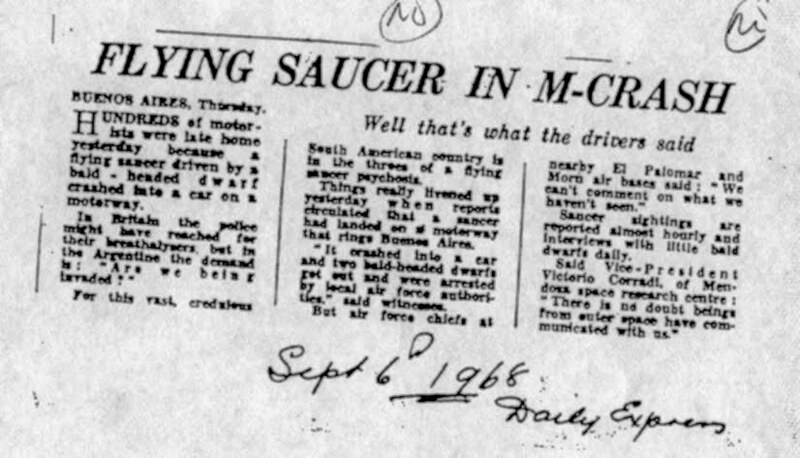 It also means he has been exposed to psychology as a discipline from within, rather than how it may be often portrayed within the UFO community and the general media. The lecture will be split in two halves, with the first half covering the benefits and limitations of applying psychology to Ufology, and the second half covering an overview of research that has been conducted. This will also include the first presentation of research findings as part of his degree, involving a small project into the relationship of UFO "belief" and paranormal "belief", but more importantly his dissertation into the nature of UFO "belief" and "scepticism" influencing assessment of evidence, and exploring individual differences between "believers" and "sceptics". Note: BUFOG is a non-profit making organization. All entrance fee money goes towards paying for the venue and events that we hold. 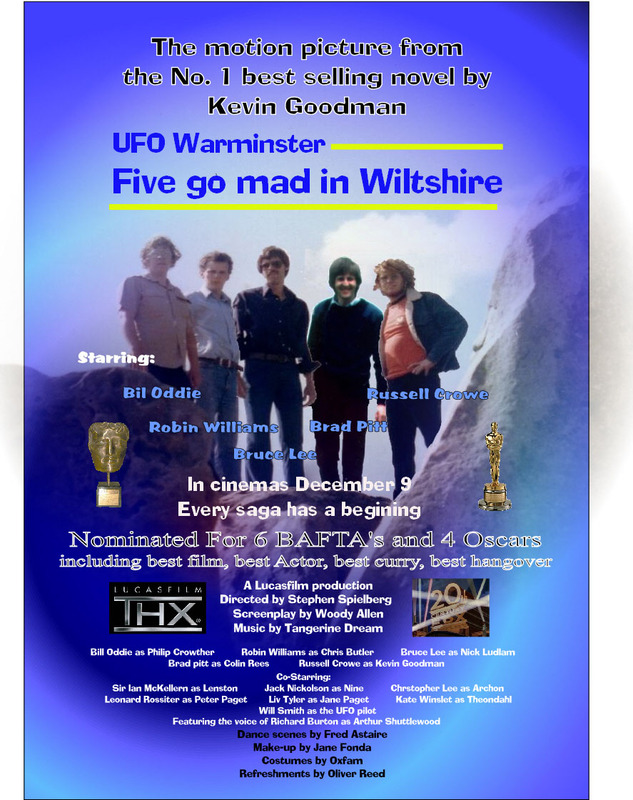 Please feel free to distribute this advert or post on appropriate forums. 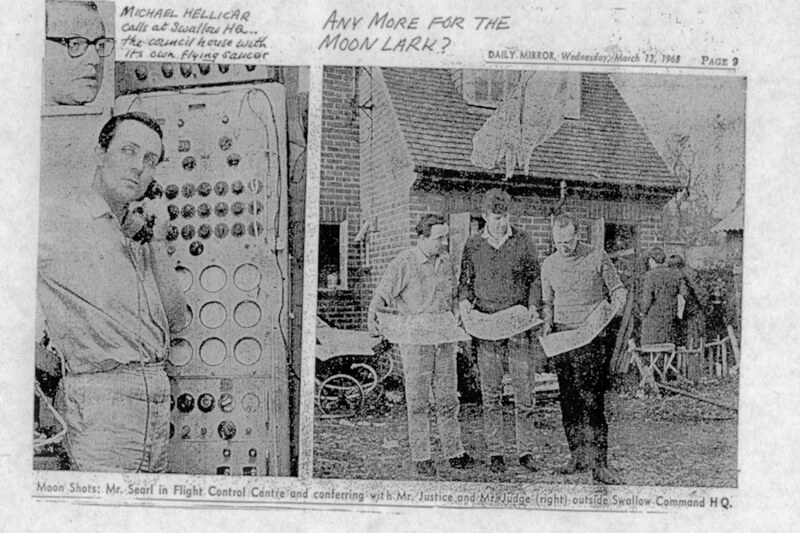 In the same month (June 1998) Mr Alan Howard from Walton on Thames who was very familiar with the passage of aircraft and the occasional Airship as used by Fuji and Orange Telecommunications was sat is his armchair watching TV when he noticed an object in the sky through the window climbing steeply, and presumed it was a balloon that had come adrift, ‘Suddenly it stopped in mid air and began to descend in a falling leaf motion, before slowly rising upwards I asked my partner Pam what she thought the object to be, and continued watching wondering if it was tethered to the ground in some way. 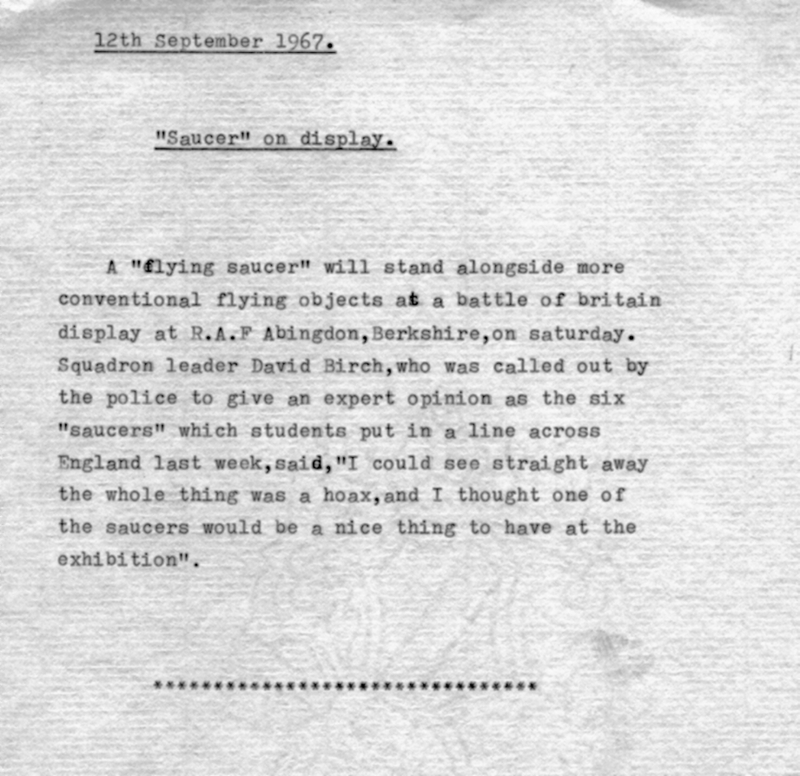 Then an aircraft appeared over the trees in front of us heading out of Heathrow, at which point the object whatever it was raced towards the plane like a missile, and stopped short of the aircraft in mid air for a second or two before moving quickly away into a nearby cloud, we were both literally struck dumb by what we had witnessed. 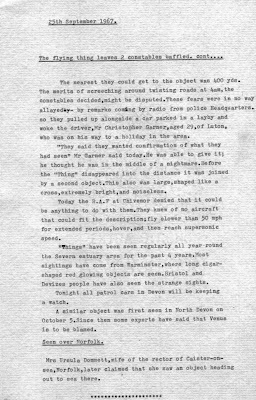 In the early hours of 25th June 1998, Barry Portsmouth a resident of Chippenham Wiltshire was travelling along the A350 just outside Warminster and Westbury with a colleague when they saw “a number of bright lights in the sky followed by the appearance of a circular object with an orange ‘door way’ hovering above them, that followed them all the way to Chippenham, but disappeared when they entered the town. At 9.25am on 10th August 2012, we made our way over to Canley Police Station situated on the A45 Coventry Road, West Midlands where we met up with the uniformed police dog handler (D/G) in the front office. 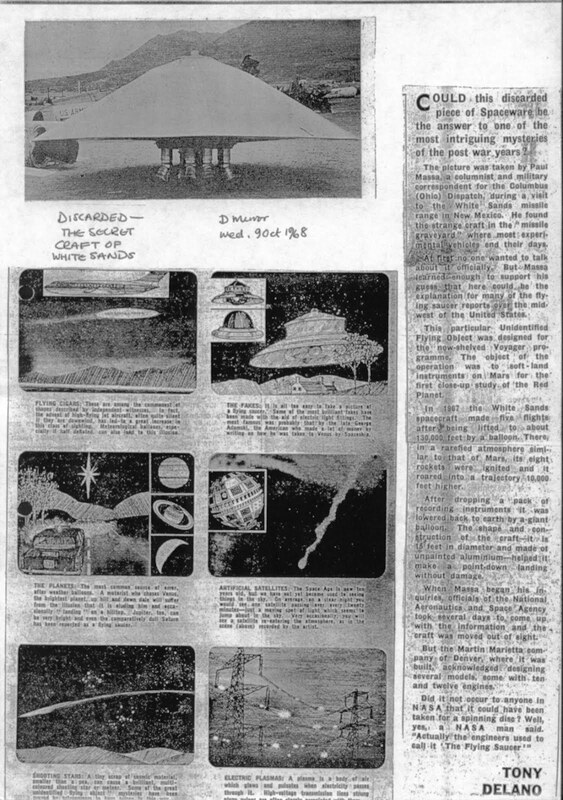 On this occasion we were accompanied by Mr Bob Tibbitts, a personal friend and formerly the head of the Coventry based UFO Group (CUFORG) . 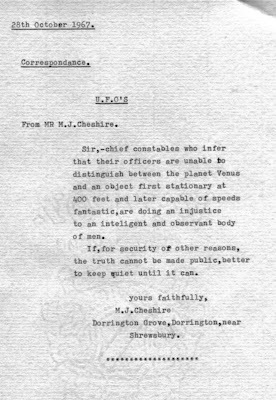 The officer (who asked that his name be withheld after consultation with Dan Barton of the West Midlands Police Press Office) was accompanied by a colleague, (D/S) who confirmed that he had received a call on the radio from the officer following the UFO having been seen, and that all communication was then made via a personal ‘phone. “I noticed a light in the sky which was pulsing rhythmically. It was very bright and had a bluish tinge to it. 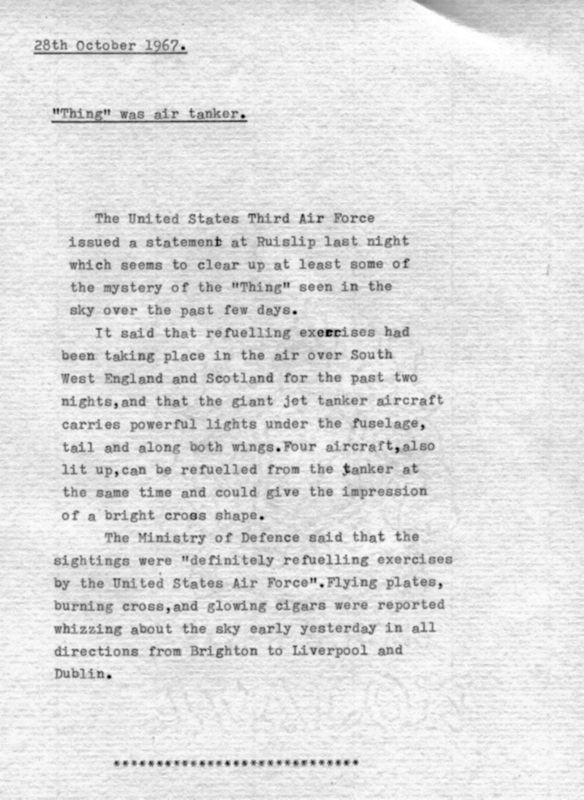 I thought at first it was plane and then realised as it was only a single light this was not likely to be the case, as I had never seen an aircraft in that part of the sky. A couple of seconds later it shot off at an incredible speed silently heading towards the Birmingham direction. As it did so the pulsating continued but of course diminished as it moved away, now over the Birmingham Airport direction. 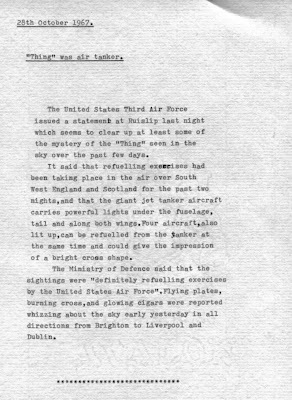 Suddenly it shot straight upwards into the sky at a phenomenal speed far too fast to have been any aircraft. 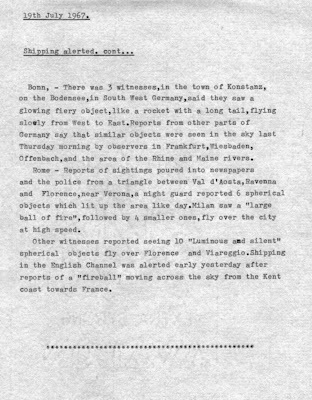 About 2-300yards past where I had seen it I pulled into a lay-by on the left and radioed a colleague (D.S) also on duty that night and told him what I had seen”. The incident, for obvious reasons, was then reported via mobile phone rather than contacting the Force Control room using the Police radio. The Officer then contacted a relative to report the matter, and then made his way to Birmingham Airport where he discussed the matter with the ATC and the crew of the Police Helicopter. According to ATC nothing had shown on radar and no flights were plotted for that time (15minutes before and 30minutes later). 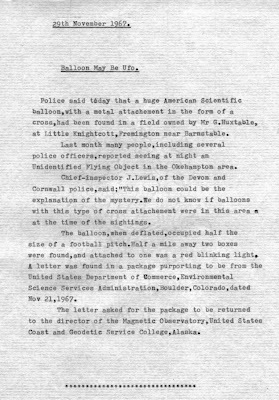 The officer dismissed any suggestions made that he had seen a fireball meteorite, a sky lantern or jet aircraft. He feels that what he saw wasn’t man-made, and maintains an open mind as to the identity of the object. 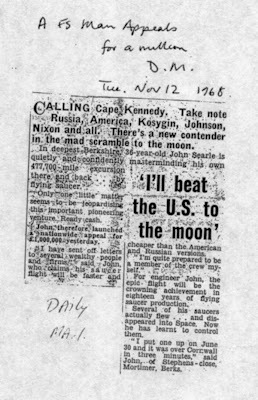 He also stressed that if it had been an aircraft travelling at the speed, then why didn’t it break the sound barrier as it moved through the sky? While we were unable to identity what it was the officer saw, we had of course come across many other examples of this phenomenon before during our research. 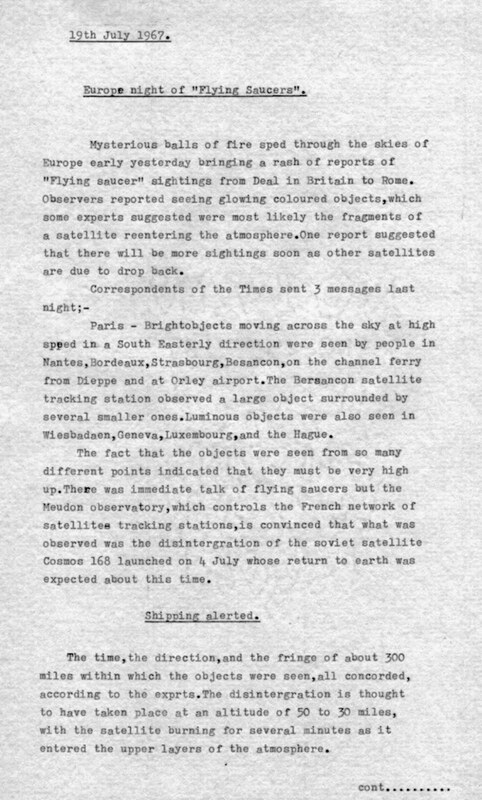 Those examples also include occasions when film has been taken of these pulsating flickering objects which are seen stationary in the sky before suddenly shooting away at speeds, which rule out the possibility of any terrestrial explanation. One such example took place in Greenlands near Redditch a few years ago. The witness - a taxi driver - called the police who attended but were unable to offer any explanation. 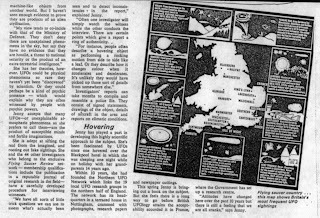 Another witness living in Longbridge, Birmingham also filmed a UFO over the Birmingham area in 1995. 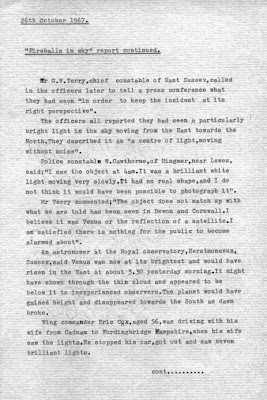 Interestingly, she told of seeing a dark, hardly noticeable object rotating around a luminous object creating what appeared to be the pulsating effect. 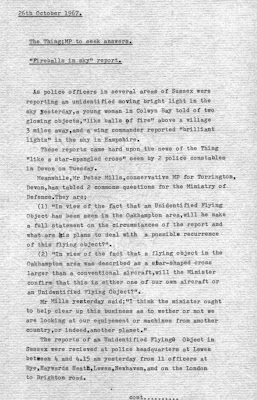 Whether these have any bearing on what it was the officer saw, we can’t say; all we can say is that although these are examples of unidentified flying objects, which continue to be seen around the skies of the UK, we should only judge each case on its individual merits and not jump to any conclusions, rather than attempting to sensationalise incidents like this (as is often seen in the media) by suggesting that they are extra terrestrial in origin. Nothing may be further from the point! A mere few hundred yards away from the lay-by, a crop circle was discovered on the 4th August 2012. Wondering if there was any association with what the officer had seen we made our way to the location after having been to the Police Station. After climbing over the gate and walking along the public footpath from its entrance on the side of the lay-by, and walking along the tram lines, we arrived at the irregular formation, clearly visible from the road, and approximately a few hundred feet away from the main A45 road. 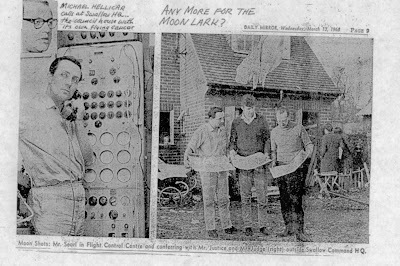 Following our visits to various crop circles and formations over the years, and finding evidence of what appeared to be some form of microwave, or energy, interaction having taken place through burning and feathering of the crop on the outsize edges, we felt there was no evidence to suggest this to be a genuine crop circle. However, we were curious about the number of bird feathers contained within the lay of the corn, but these could have been crushed down through the action of pressing the corn, which - for all we know - may have happened a few days before the 4th. 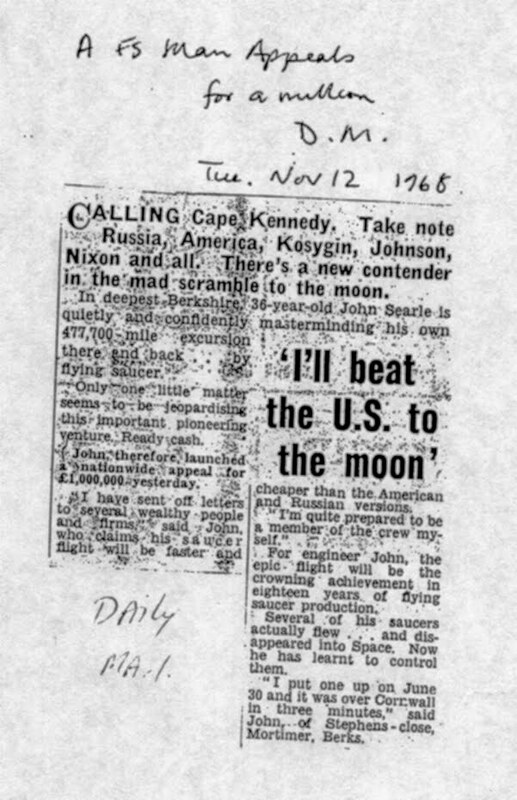 about half way down and reinforced our convictions that this was a crude hoax, although we are the first to point out that we are not specialists in this field (excuse the pun). Hi everyone. We have recently returned from seeing our publisher in Devon, and are completing the last few errors before sending him the completed work. We had a dreadful time getting to the Devon area on Saturday last owing to the heavy volume of traffic and intermittent bursts of heavy rain. Our journey took us 6 hours, followed by a mad dash to the caravan site to set the van up and then an equally mad dash to catch our wind and make our way to the cottage to see our publisher. After a cup of tea, and a quick cuddle with Prudence, the family dog, we all set to the job of getting Volume 6 right, and worked until ten o’clock that evening! When we left the caravan site the next day (Sunday) the clutch on our Peugeot began to slip very badly so were forced to summon the assistance of a breakdown service, who advised us that the clutch appeared very badly worn and that we had to take care driving back home. This we did, arriving back many hours later. As we need the car, we will - of course - be seeking further advice regarding the clutch. 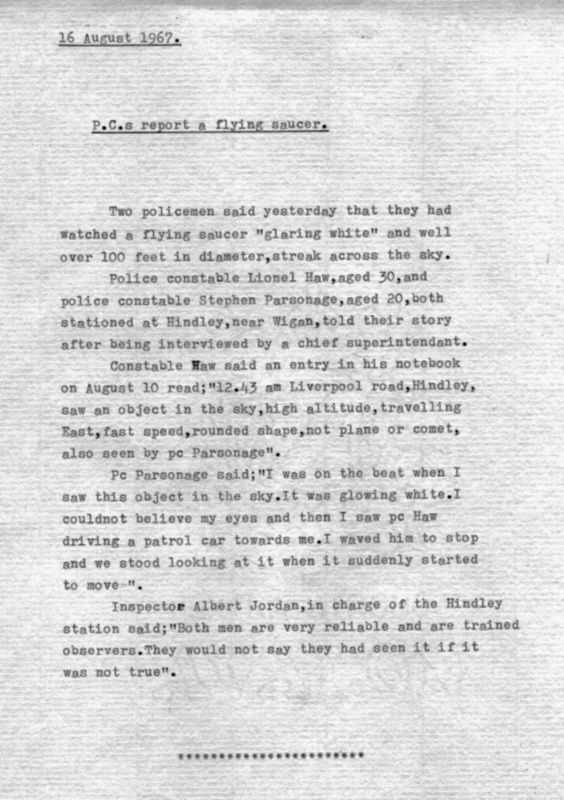 I spoke to a West Midlands Police Officer yesterday who was driving along the A46 road towards the city boundary of Coventry, near to Stonebridge Island, at 2.20am on the 5th of August 2012, when he saw a pulsating light in the sky over the A45 close to the latter. 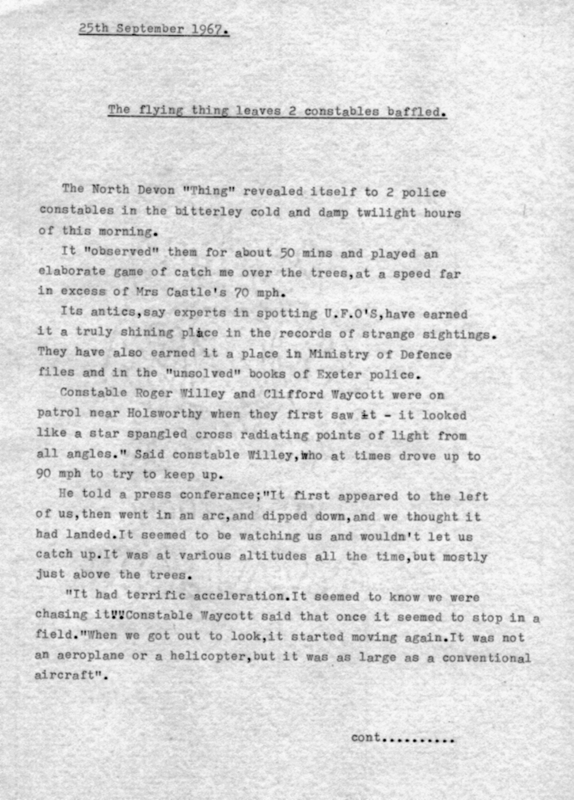 Within seconds, the object shot away at speeds estimated to be thousands of miles per hour. The Officer made his way to the airport, where he spoke to Air Traffic Control officials who confirmed that no flights were listed in that locality and that nothing had been tracked on radar. We contacted the Coventry Telegraph and asked them to publish a letter from us asking if any other witnesses to this incident would contact us. Scotland, UFO Display over London, UFO over Staffordshire, UFOs sighted over Warminster, UFO over Southampton, UFO over Warminster, UFO sighting, Cumbria , Police sighting over Cleeve Hill, Gloucestershire, UFO over Berkshire, UFO over Birmingham, ‘Flying Hovercraft’, Gloucester. 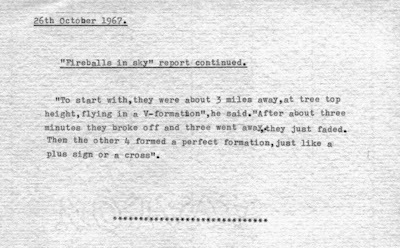 UFO Display, Wales, UFO landing on the Welsh Hills, UFO over Reading, UFO over Cleveland, Another UFO sighted over Reading, British UFO Groups make TV appeal, UFO over Southampton, UFO over Nottinghamshire, Close Encounter with UFO, UFO over Cradle Hill, Warminster, UFO over East Grinstead, UFO over Preston, UFO Display over Barnsley, UFO over Basildon, ‘Flying Cobra’ UFOs, UFO over Normanton, West Yorkshire, UFO landing, Cornwall, A Haunting Experience, Worcestershire. 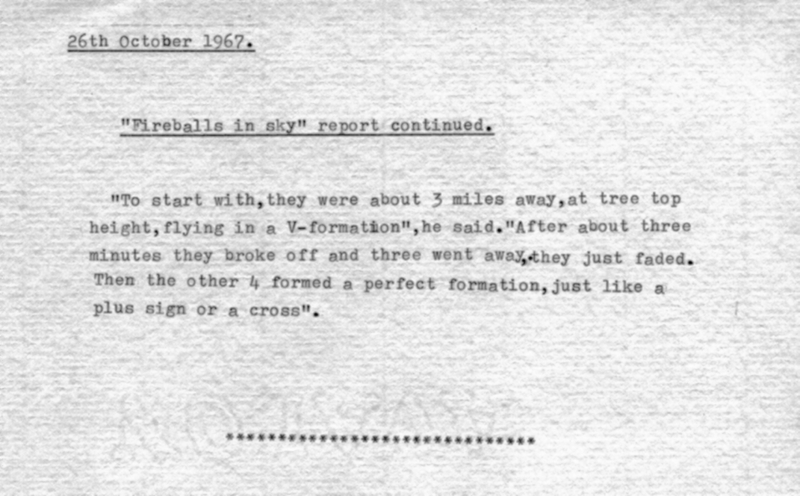 ‘Flying Saucers’ over Cornwall, UFOs sighted Kent, UFO over Isle of Wight, Close Encounter, Lancashire, UFOs over Basildon, Essex, UFO display over Peak District, ‘Close Encounters’ of the Fourth Kind, Owlman seen at Mawman Church, ‘Close Encounter’, Yorkshire, UFO display over Greater Manchester,’ Close Encounter’, Manchester, UFO over Kent, UFO over Mount Snowdon, UFOs over Staffordshire, UFOs over Cradle Hill, Warminster, UFOs over Worcestershire, UFOs over Kent. 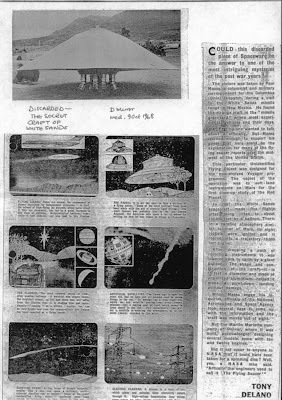 UFO over Cornwall, UFO display over M62, UFO display over Warminster, Close Encounters, Oakenholt, UFO over Hampshire, UFO over Southsea, Summer 1976, UFO over Tilbury, Close encounter at Leeds, Landed UFO, County Durham, UFO display, Hampshire, UFO over Essex, UFO over Canvey Island, UFO over the Isle of Wight, UFO display over Dudley, UFO over Ipswich, Skywatchers log, Cradle Hill, UFO over Gateshead, ‘Flying Cigar’ over Essex, Cigar-shaped UFO, Leicester, UFO over Huntingdonshire, UFO over Surrey, Joyce Bowles, Edwin Pratt-Encounters with UFOs, Close Encounter Surrey Downs, Cradle Hill, Warminster, UFO over Surrey, Close Encounter with UFO ,UFO over RAF Abingdon ,UFO over Essex, Dome-shaped object, Wales, Triangular UFO over Essex, UFO over Shrewsbury, Close encounter with UFO. Motorists and UFOs, Followed by strange light, UFO over Haverfordwest School, UFO over Llandudno Junction, Hilary Evans, ‘Close Encounter’, Anglesley, UFO sighting, Rhosybol School, Anglesey, ‘Close Encounter’, Huyton, Liverpool, UFO over Littlehaven, UFO over Worcester ,UFO formations over Dagenham, Essex, ‘Close Encounter’, Winchester, Joyce Bowles makes contact, UFO Display, Cradle Hill, UFO over Pendle Hill, UFO landing and occupants seen,’ Flying Saucer’ over Littehaven, ‘Flying Saucer’ over Hampshire, UFO sighting, Kings Heath, Birmingham, Close Encounter, Redditch. 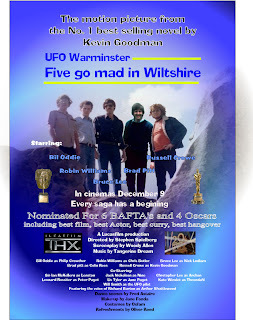 UFO over Warminster, Strange’ beings’ seen, Farnham, Surrey, Alien Encounter, Milford Haven, ‘Flying Cross’ over Cheltenham, The Warminster scene, UFO - Penrith, Cumbria, Chased by UFO! ‘Flying Saucer’ over Milford Haven, UFO‘Landing’, Pembrokeshire, A visit from the ‘Men in Black’, Giant ‘figure’, seen, Ripperston Farm, UFO landing Essex , BBC Screening ‘out of this World on UFOs’, UFO over Huddersfield, UFO, Leicestershire, Crop Circles at Bristol, Silver suited ‘figure’ seen, Ripperston Farm, UFOs sighted over East Lothian, Scotland, UFO over Surrey, Strange ‘being’, Morayshire, UFO over Cheshire, UFO over Barking, Essex. 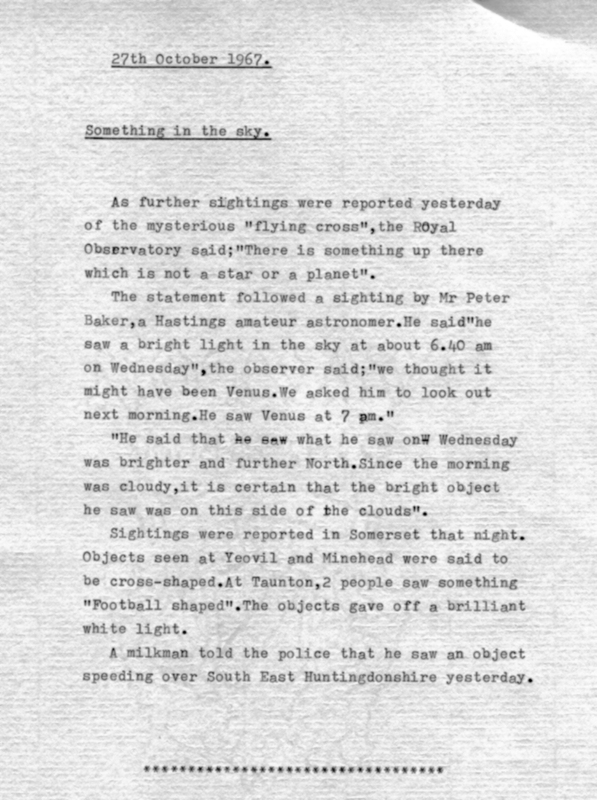 UFO over Devon, UFO Display over Bournemouth, UFO over Warminster, ‘Flying Saucer’ over Yorkshire, Hoaxers caught at Warminster, UFO over Holyhead, The Queen’s Silver Jubilee, The ‘Men in Blue’, UFO - Barnard Castle, UFO over Essex, Sky-Watchers Diary, UFOs over County Durham, UFO, over Lancashire, UFOs over Birmingham,’ Close Encounter’, Worcestershire, Cradle Hill, Warminster, UFOs over Nottinghamshire. 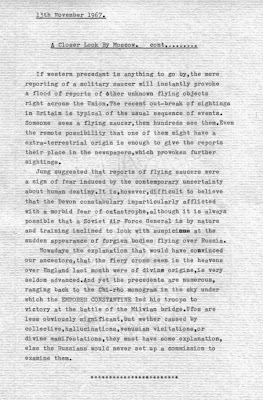 Strange Phenomena at Northumbria, UFO over Marple, Cheshire, UFO sighting by Randall Jones Pugh, Mystery deaths of ponies explained, UFO’s over Essex, UFOs over Somerset, RAF chase UFO Warminster, UFO landing at Warminster,’ Flying Saucer’ over Northumbria, UFOs over RAF Boulmer, ‘Flying Saucer’ landing near Bradford, UFOs over Thaxted, Geoff Falla, and his Vehicle Interference Project, UFO over Norwich, UFO over Truro, UFO over Portland, Triangular UFO over Stoke-on-Trent, UFO over Warminster, UFO over Bournemouth, Close Encounter, Dyfed, UFOs over Lake District, UFO-Info Trowbridge, UFOs over Warminster, UFOs past and present, UFO over Ipswich, UFO Display over Ipswich, UFO over Lancashire, Strange Lights over Devon, UFO over Cleveland, UFO over Norfolk, UFO, over Cheltenham, UFO Incident, Bournemouth, UFO over Winchester, UFO over Anglesey, ‘Close Encounter’, Somerset, ‘Close Encounter’, Dorset, ‘Close Encounter’ with UFO, UFO over Bristol, UFO over west Midlands, Cradle Hill Hoax, Triangular UFO over St. David’s, Triangle of red lights over Cambridgeshire, UFO over Dudley, Orange ‘ball’ over Wiltshire, UFO over Manchester, UFO over Lancashire, UFO display filmed at Stonehenge, UFO over Anglesley, Close Encounter with UFO, ‘Flying Saucer’ over Salisbury, Sighting at Stack Rocks, Dyfed, UFO over Suffolk, UFO Display over Crewe, ‘Flying Saucer’, over Humberside, Domed UFO over Pembroke, UFO Clifton Campville, Close Encounter’, Surrey, burn marks found. 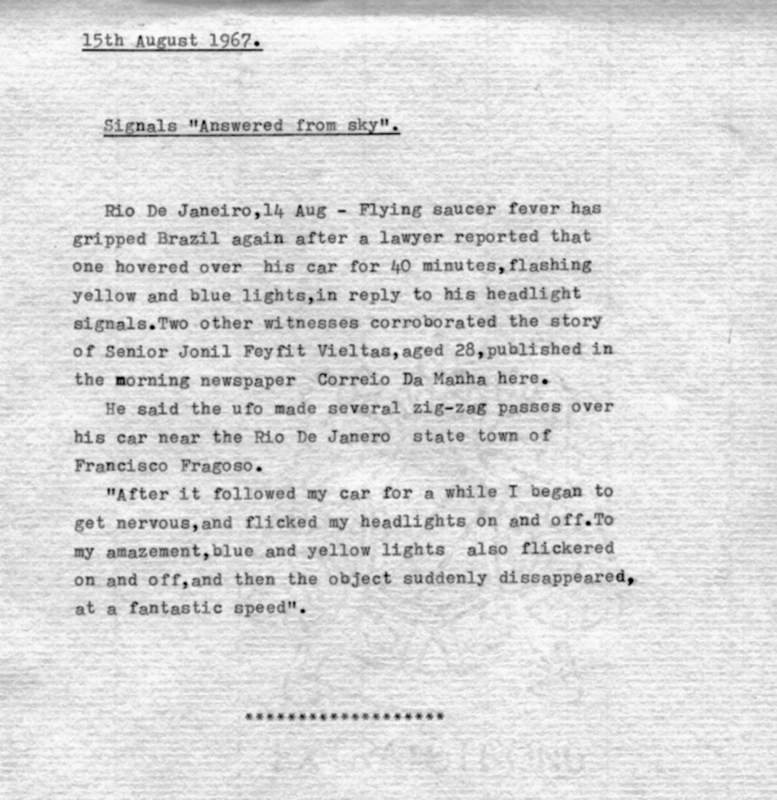 “The first day I noticed some feint lights that I attributed to the haziness of the day and a buzzing noise that appeared to emanate from a large stone in the Circle but put it to the back of my mind. 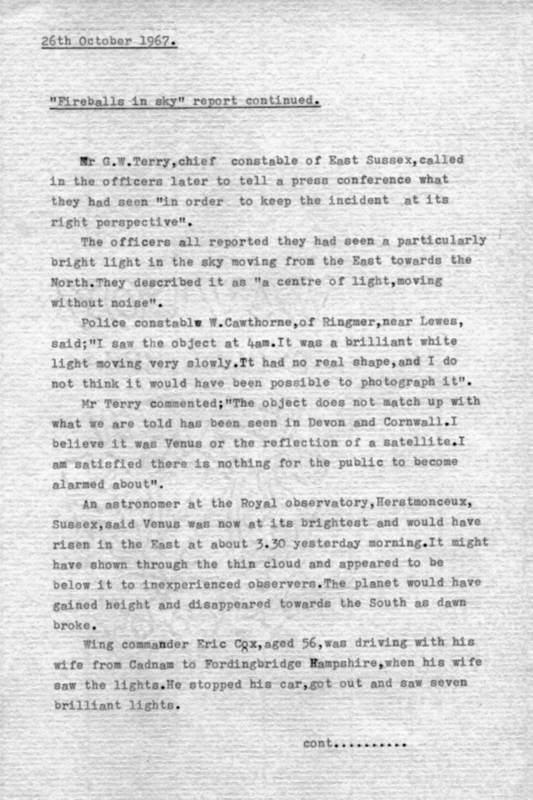 On the fourth evening just before midnight we were sat almost level to the largest stone and were discussing about a strange light having been seen in the sky by Stewart when suddenly we saw what looked like a ‘runway of lights' on the ground coming towards us. Then the clouds appeared to open up and a beam of light shot upwards into the sky followed by four of five dark shadowy shapes seen moving across the sky. We shouted out in excitement fear turning to wonder as they moved across the sky in what appeared to be a display. Ahead of us appeared strobing pillars of light forming an arc. Followed by what looked like a’ fiery sun ‘and thousands of little lights travelling across the top of a nearby larger hill. 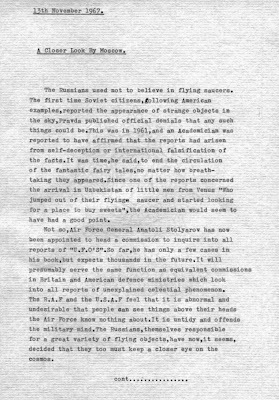 How many times had we come across similar reports involving the ‘scramble’ of RAF jets on an intercept mission, and their occasional attempts to catch up with something or someone who appears to show some form of intelligence judging from their unwillingness to show themselves? However, we should exercise great care in forming any conclusions based on limited information, although the tabloids would no doubt depict a scenario which seems more in keeping with an episode of X files! Sally: “Two hundred yards away from us a single light hovered in the sky before descending earthwards and split into three ‘sitting on the ground’ Tom and Stewart wanted to go over and stand in the lights, but Annette and I urged them not to feeling that something may have happened to them, then the lights extinguished and darkness returned the whole episode over in an hour”. 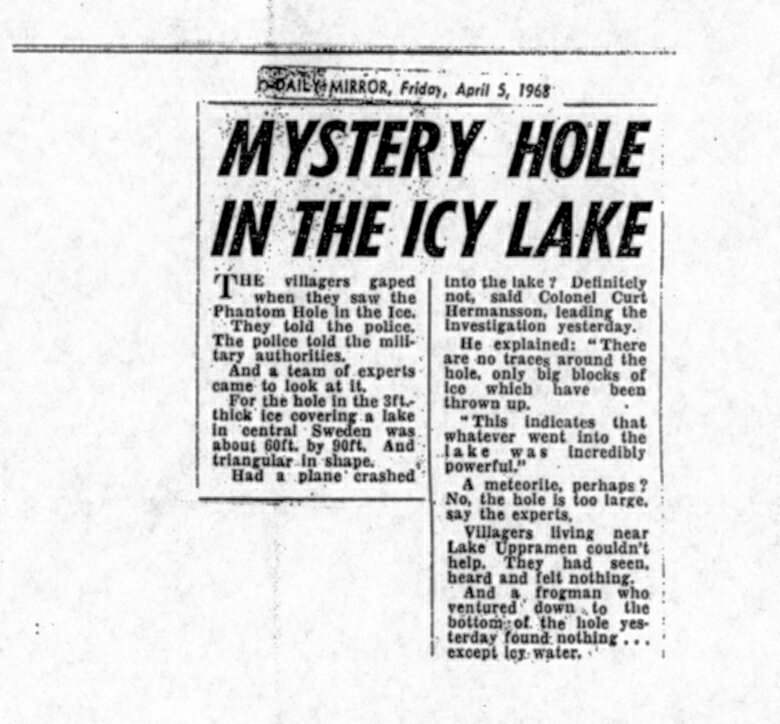 The next morning the group met a man in a white boiler suit carrying a Geiger counter who told them he was writing about the paranormal for a magazine and expressed an interest in hearing what had taken place, which seems an extraordinary coincidence. Was he from a magazine or was he an official of some kind? The incident, and what it meant personally, was to inspire the production of a music track found in an album of music some years later entitled Squanasie ‘Sky people’ from Squanasie recordings produced by her and partner Jezz Woodroffe, who has worked with Black Sabbath, inspiring and haunting in melody. 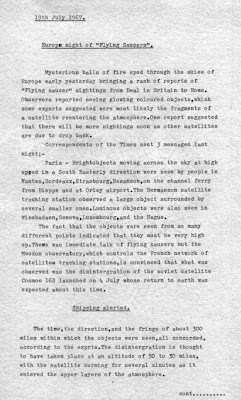 *a planetary alignment which occurred on August 16th to 17th 1987 and of importance to the Maya Calendar which prophecies a time of renaissance and planetary quickening linked to the completion of our sun's 26,000 year orbital cycle around the Pleiades star system, and the alignment of our winter solstice with the Galactic Centre said to be complete by 21st December 2012, and the stimulus for people to gather at sacred sites.